You haven’t been to Los Angeles until you’ve seen it like this. 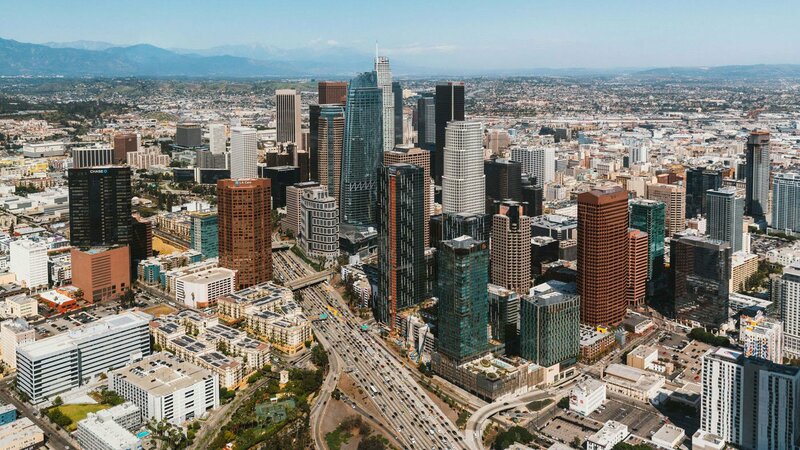 Take this 30-minute tour for breathtaking views of DTLA and Hollywood. Instagram worthy shots guaranteed! Photography ‘hunt’ for whales, dolphins, and other majestic marine mammals, with an onboard marine biologist to tell you all about the Pacific Ocean’s magical sealife. Natural Beauty! Unparalleled views of Southern California’s Coastline, with multiple departure locations. Beaches’ paradise! Panoramic views of some of California’s most picturesque coastlines. Every photo will be a postcard! Get dropped off in the wild for a ‘Bear Grylls style’ epic adventure! This is going to be one to remember! In less than an hour, you will see the highlights of a most fascinating West Coast city. 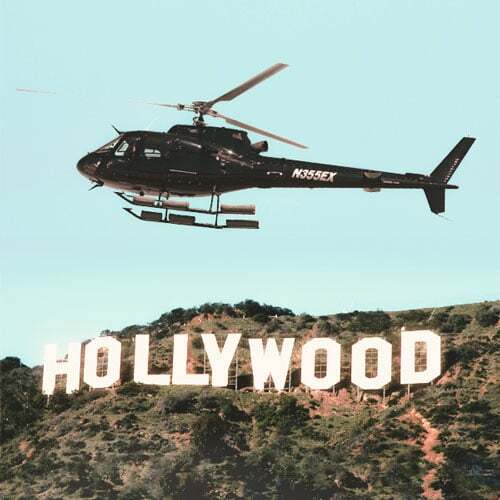 You begin by flying in our helicopter from our exclusive heliport location at the Queen Mary and head West past the busiest ports in the nation: Long Beach and Los Angeles. 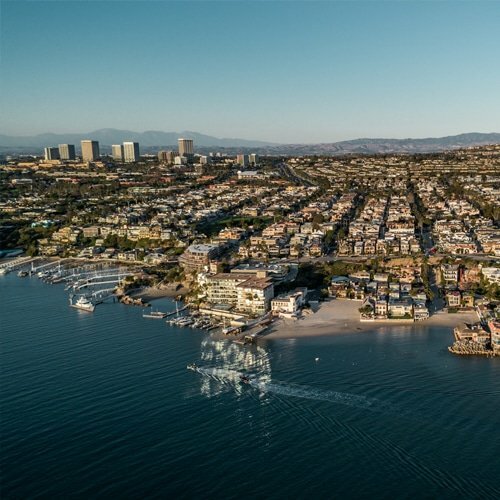 Turning North you’ll continue along the coastline past LAX for thrilling glimpses of Redondo Beach, King Harbor, Marina Del Rey and Venice Beach. From the Santa Monica pier and amusement park you fly down Sunset Boulevard over the architectural marvel of the Getty Museum. Flying over Bel Air and Hollywood you get a bird’s eye view of the exclusive homes inhabited by famous movie stars. Enjoy the excitement getting close to the popular Hollywood sign, then flying through the skyscrapers of downtown past the L.A. Coliseum, Staples Center and USC campus. Finally, you’re whisked back to our oceanfront heliport where you’ll conclude the tour. 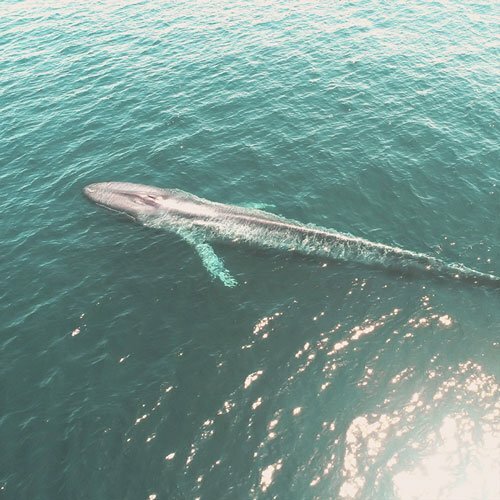 Unlike traditional whale watching tours, this exciting new expedition involves a 30-minute helicopter flight over the Pacific Ocean in search of majestic marine mammals with marine expert, Diane Alps onboard to explain all there is to know about this incredible marine habitat. Take to the skies in search of the majestic sea life of the Pacific Ocean with a bird’s eye view! 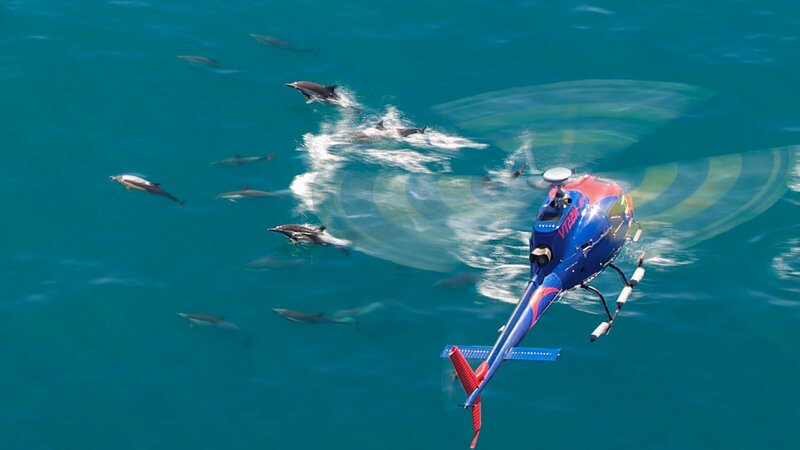 Unlike traditional whale watching tours, this exciting new expedition involves a 30-minute helicopter flight. 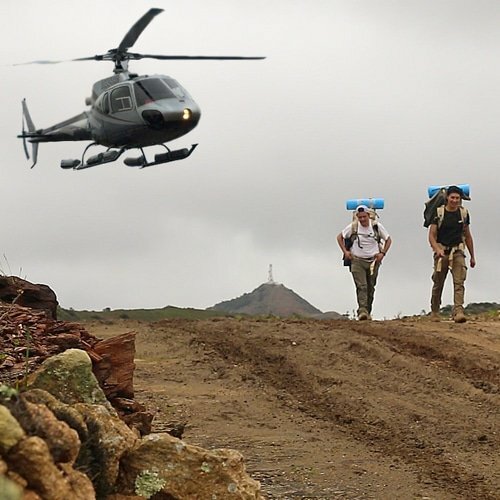 The Heli-Marine Expedition takes you on an aerial trek over the Pacific in pursuit of some of the world’s most intriguing and beautiful creatures. Our onboard marine expert will introduce you to the diverse Pacific Ocean and its great mammals from a whole new perspective - from above. Minutes into your flight you will see two of the busiest ports in the nation, Long Beach and Los Angeles. 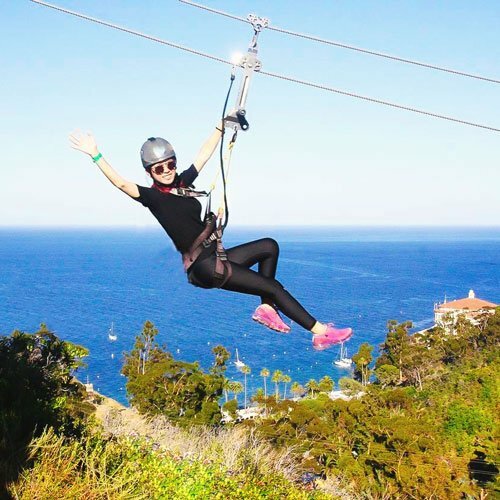 Fly over two historic monuments, the Korean Bell of Friendship and the Point Fermin lighthouse. 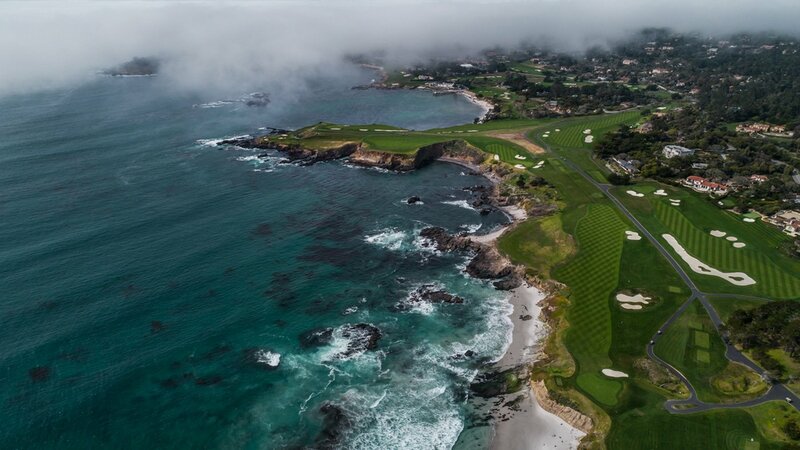 One of the highlights of this breathtaking coastal tour is flying over the palatial homes of Palos Verdes Estates, Trump National Golf Course, and along the beautiful Palos Verdes peninsula. 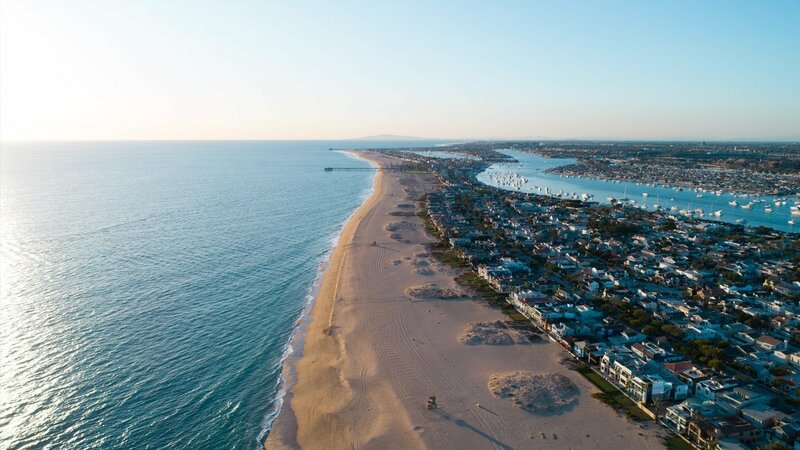 Whether your trip departs from Long Beach or Orange County you will experience magical views of the shimmering Southern Californian coastline and cobalt blue ocean. 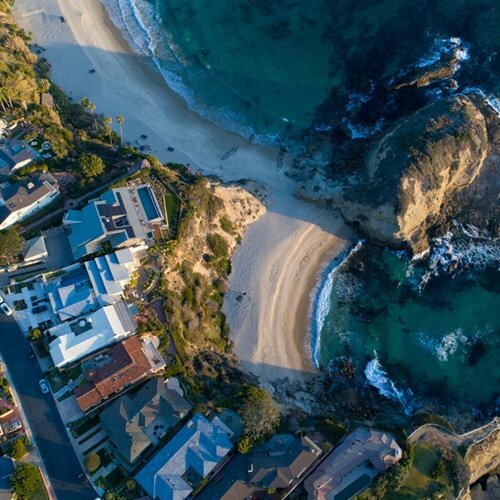 Fly over the surfers of Huntington Beach or Laguna Beach and admire some of the most beautiful beachfront homes imaginable. Experience the island the most epic way possible! 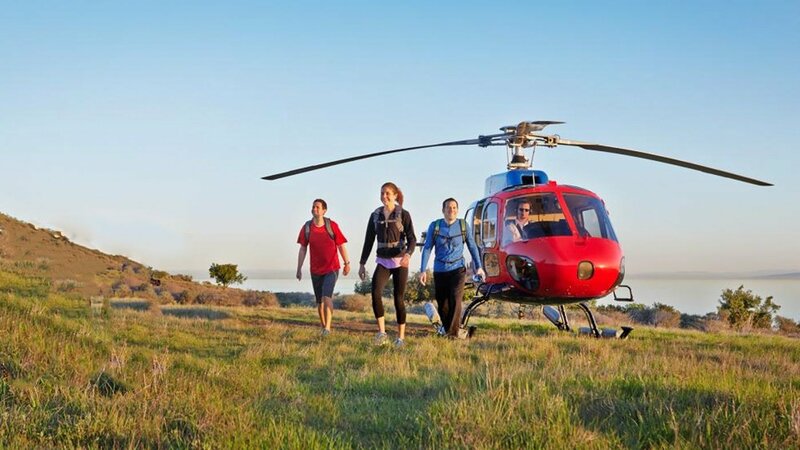 Heli-Hiking will take you to a place to walk where few have walked before and explore some of the most breathtaking parts of the island. During this tour, you will be dropped off in a remote bay from where you need to make your way back to “civilization”. There are multiple trails to choose from, ranging from intermediate to professional. Immense yourself in commanding scenery and take part in an adventure that will stick with you throughout a lifetime.Note: tours are unguided and previous experience is recommended. Maps are provided to participants and it is recommended to read the Catalina Island Conservancy’s hiking tips. Please note that a hiking permit is also required, and can be obtained online at no cost on the Conservancy's website. Click here to watch a "fan video"